30 newer, fuel-efficient cars since october! Modo fleet director Doug Dunn reports that we've spent more than $650,000 on fleet expansion and upgrades in the past year, replacing 30 vehicles since October with newer, more fuel-efficient vehicles. "We really have an exceptional mix," says Doug, who says Modo fleet replacements and expansions this year focused around purchasing newer, more fuel-efficient vehicles (like the Nissan Leaf Electric at The Rise! ), while improving overall fleet offerings to fit the needs of members. "Adding full-sized cargo vans to the mix gives our members the freedom to choose the right vehicle for their needs." Recently, Modo has begun introducing more domestics into the fleet, including two Chevy Orlandos, and four Dodge Avengers. Doug says price, options, efficiency and the need for a variety of vehicle types were the key drivers in the decision. 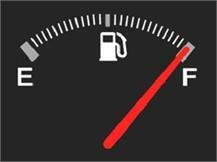 These vehicles achieve similar fuel efficiency to other non-domestics of their size in our fleet. Doug says his approach with domestics is the same as with non-domestics: buy a few, see how well they do based on member needs and cost to maintain, "and if they're problematic, we find new homes for them." Have you taken one of our Chevy Orlando or Dodge Avenger vehicles out yet? We're eager for your feedback. Post a comment here or send an email to info@modo.coop (Subject: "Feedback on [insert make/model of vehicle]"). 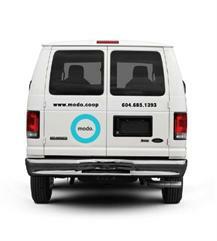 As Doug mentioned in his update, Modo is pleased to welcome our first full-sized cargo vans into the fleet! *Applause* Located steps away from the Commercial-Broadway Skytrain Station, the Ford Econoline-150 will be available for booking starting Wednesday, April 3. Co-op members: $3 per hour (with a daily cap of $36), 11pm-7am free, plus a surcharge of 20¢ per km above the regular kilometre charge. Casual members: $3 per hour surcharge above the regular $7.50 per hour charge, plus 20¢ per km over 150 kilometres per day. The daily cap is $84. Business and Non-profit members: $3 per hour surcharge plus 20¢ per km over 150 kilometres per day. The daily cap is $81 weekdays and $99 weekends, and the daytime cap for not-for-profit orgs to $54. As the cargo van is likely to be popular, remember we also have two smaller-sized cargo vans at Mole Hill - Thurlow Street and E 10th & Commercial (the latter to be retired very soon), not to mention the nine trucks in our fleet. Happy moving! *** CONTEST: Do the math. Send us a cost estimate for a trip you intend to take, comparing Modo's rates with Zip, Budget, U-Haul or one of the other rental companies, and be entered to win $100 carsharing credit! 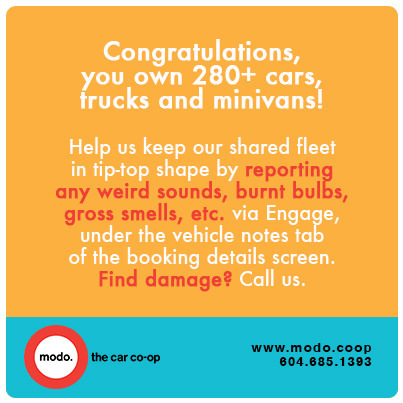 Email your entry to marketing@modo.coop (Subject: "Contest: Cargo Van") by 12pm, April 9. 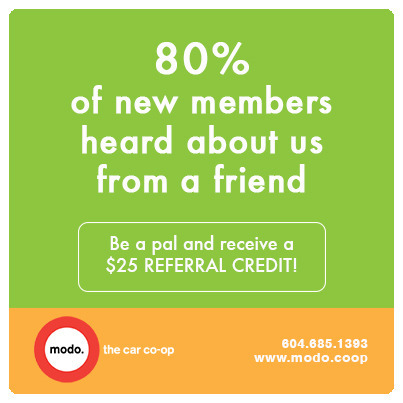 An amazing 80% of you became members because you knew someone else who was carsharing and loved it. Which meant we could buy more cars. And then you told your friends, and they signed up. So we expanded into the suburbs. Then they told their friends. Which allowed us to upgrade our fleet... That's how we roll as a not-for-profit co-op. When we grow, you gain. And now we want to reward you for helping us make carsharing more accessible across Metro Vancouver: Effective April 1, get $25 in free driving when a new member drops your name at signup! As continuing sponsor of the Vancouver Farmers Markets, Modo will be at the Winter Market at Nat Bailey Stadium sharing about sharing with several of our favourite Community Partners. Stop by and say hi to your fellow members volunteering at our booth, and take part in some fun, educational programming courtesy The Vancouver Tool Library, Trade School Vancouver and The Sharing Project. Participate in demos, how-tos, interactive displays and a photo booth as part of our series “What Does Modo Mean to Me?” And, if you Modo to the market, consider grabbing our photographer to come shoot you, Modo and your Farmers Market loot! Stay tuned to the Modo blog for more details. Photo via Flickr/thegreenpages under Creative Commons license. Meet Gala. She’s in charge of community engagement for a newly launched initiative called The Sharing Project, focusing on a subject near and dear to our hearts... As a major sponsor of this fascinating endeavour to investigate Vancouver’s sharing potential, Modo invited Gala to do a little Q&A to help acquaint our members with something likely to excite imaginations. Modo: What's the Sharing Project? Gala: The Sharing Project is a research project aimed at facilitating more social connection while empowering Vancouverites to kickstart the sharing economy in their own communities. The project has garnered support from sharing organizations across the city including Vancity, The HiVe, Terminal City Glass Cooperative, Seedstock community currency and Modo, to name a few! Our small but mighty team is led by Chris Diplock (pictured at right), co-founder of the Vancouver Tool Library. 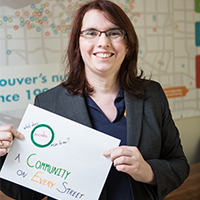 Through focus groups, interviews and surveys, we want to empower citizens, shape policy and identify new opportunities for sharing in Vancouver. Our public survey launches mid-April, and we’re currently inviting more people to be part of the project through our crowdfunding campaign: igg.me/at/thesharingproject. Read the full interview on our blog... and consider joining Modo in supporting the project to expand sharing across the region. As part of a recent contest by LOCO, The Tyee and Vancity, more than 700 letters of love were submitted to local businesses - including many gushing missives for Modo, like the one above. Read our favourites! Along with the flowering of the trees and the familiar itch of allergy season, spring also brings with it more reasons to get out on the bike - day and night. Stay visible with a good reflective layer, such as B Scene vests. Designed with wind- and water-resistant Supplex nylon, the vests are made by Cascade Wear, which is owned and operated by Modo member Ron Dabby and manufactures gear for emergency personnel such as paramedics and firefighters. 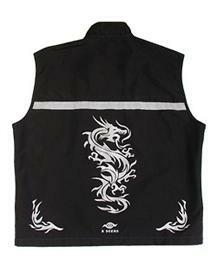 Extremely tough and made to last a lifetime, the vest has lots of pockets and is reflective for 300 metres. Two designs are available: a stylized Dragon and a Tibetan Mahakala protective Spirit mask. Learn more or order online. 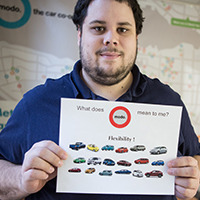 Starting April 1, carsharers and renters in BC will see a new tax applied to bookings longer than 8 hours and shorter than 28 days and 30 minutes. Information systems director Karen New breaks it down for us on the Modo blog. Check out our picks for the two-day Engagement Expo on Modo's blog! 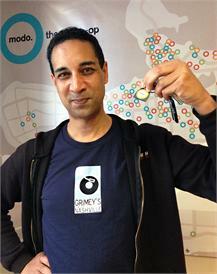 As part of Modo’s continuing sponsorship of the Vancouver Farmers Markets, we’ll be at the Winter Market at Nat Bailey Stadium sharing about carsharing with potential new members, while also exploring Vancouver’s sharing economy with Modo Community Partners: The Vancouver Tool Library, TradeSchool Vancouver and The Sharing Project. 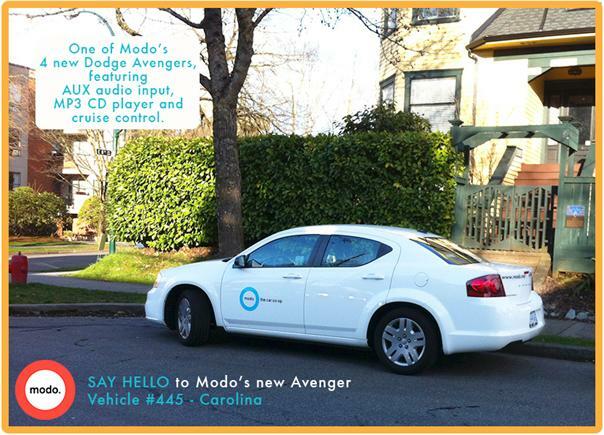 *** BONUS: If your project is selected for City Commons, Modo will donate $50 carsharing credit! Email confirmation of your project’s acceptance to marketing@modo.coop. Planter box-building workshops are back by popular demand at the Vancouver Tool Library this spring! After this workshop, participants will leave with the confidence to name and use basic power tools necessary for everyday projects and a planter box for all your urban gardening needs. Instructor Brent Firkser will go over safety with tools, designing and planning a project, and the execution of said plan. Register online or at the VTL shop (3448 Commercial St). Join Velopalooza and the Vancouver Cherry Blossom Festival for a fun, free guided bike ride. The ride will tour the blossom cherry trees in Vancouver and include a talk by Parks Board Arborist, Bill Stephen. Stay tuned to www.velopalooza.ca for more details. Find other Cherry Blossom Festival programming here. Instructor Geof Vincent (the Vancouver Tool Library’s very own Shop Manager!) will introduce participants to the basic tools needed for working wood by hand - planes, chisels/gouges and saws - and demonstrate their proper use. Marking and measuring with scribes, knives, compasses, gauges and squares will also be covered in tandem with a brief lesson in wood grain. Register online or at the VTL shop at 3448 Commercial Street. The 2010 blue Dodge Grand Caravan has been replaced by a 2012 grey Chevrolet Orlando (#443). The 2007 grey Hyundai Sonata has been replaced by a 2013 white Dodge Avenger (#446). The 2007 blue Hyundai Accent has been replaced by a 2011 silver Mazda 2 hatch (#359). The 2009 red Dodge Grand Caravan has been replaced by a 2010 blue Dodge Grand Caravan (#300). The 2008 red Dodge Grand Caravan has been replaced by a 2012 red Chevrolet Orlando (#442). NEW LOCATION: Commercial-Broadway SkyTrain Coming April 2! Find Modo across from the East 10th Avenue exit from Commercial-Broadway SkyTrain Station, in the parking lot behind the dollar store. 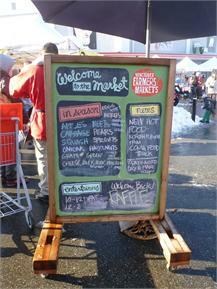 We have a designated Modo stall about halfway through the lot, directly under the SkyTrain tracks. This is our first full-size, premium cargo van, a 2009 white Ford Econoline (#433); it replaces the faux cargo van half a block away at E 10th & Commercial. The 2007 maroon Hyundai Sonata has been replaced by a 2013 white Dodge Avenger (#445). The 2007 grey Hyundai Sonata has been replaced by a 2013 grey Nissan Versa sedan (#438). #435, a 2013 white Nissan Versa sedan. Find Modo behind the All India restaurant, on the southwest corner of East 49th Avenue and Main Street. We have a designated stall in the parking lot with a 2009 red Dodge Grand Caravan (#378). Find Modo in The Village public lot at 80 Walter Hardwick Avenue, next to the Urban Fare sign, directly across the street from our other Walter Hardwick location at Walter Hardwick - London Drugs. The 2011 silver Mazda 2 hatch has been replaced by a 2013 blue Nissan Versa sedan (#436). The 2006 grey Toyota Corolla has been replaced by a 2012 grey Mazda 2 hatch (#444). The 2005 silver Toyota Corolla has been replaced by a 2012 brown Nissan Juke (#440). The 2008 silver Mazda 5 has been replaced by a 2012 grey Dodge Journey (#441). The 2007 black Nissan Versa has been replaced by a 2013 blue Dodge Avenger (#448). Find a 2007 red Toyota Yaris sedan (#243) in the 3600 block of West 12th Avenue, between Dunbar Street and Alma Street, next to Almond Park. Find vehicle #427 in a parking stall around the corner to the 200 block of Sherbrooke St, directly across from Elizabeth Fry Society.